Eifler takes the reader on a journey into early western urbanisation with his study of Sacramento. He examines the earliest founding of the city by speculators looking to cash in on gold rush trade, uncovering the rampant competition between a handful of men intent on creating a city that would dominate the mining trade. The arrival of thousands of miners into the region, who had their own ideas about what role a city should play in an isolated mining frontier, provides another complication in Sacramento's growth as miners and city founders clashed on nearly every civic issue. Rising tensions between these groups erupted into open warfare just twenty months after the city's founding. The book analyses the aftermath of the riot, which discredited both founders and miner/settlers and gave rise to a new urban commercial class removed from the labours of mining. Thus, Sacramento's residents sought to create stable urban institutions that could, hopefully, safely negotiate the travails of unrestricted commercialism. This is an engaging, valuable glimpse of western urban development through the eyes of classes and individuals often at odds with each other but never completely divorced. 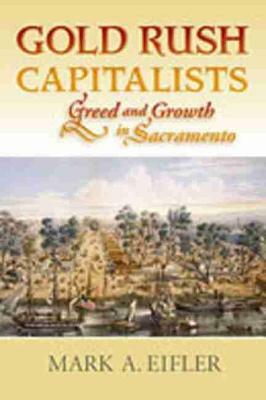 "Eifler tells a lively and illuminating tale of Sacramento's transition from a mining town to a great Western city." "Eifler has created a useful, interesting, highly detailed, and scholarly examination of early community formation in California." "This book makes a valuable contribution to the literature of the American West. It draws on a wealth of manuscript collections and primary sources and an abundance of secondary works."